Sandra Hughes creates original art for and with communities — locally, nationally and internationally. Sandra is an award-winning writer and international performer who produced and hosted The Writers Space Radio Hour on AM1690 – The Voice of the Arts in Atlanta, GA.
Sandra’s recent CD Album — Kairos — features her original spoken word performances, flute music and lyrics with piano by John Burke. Sandra currently teaches ongoing creative writing classes and workshops for adults of all ages for the Atlanta-Fulton County Public Library System and recently received an Outstanding Community Service Award from Mayor Kasim Reed on behalf of the City of Atlanta for her creative writing and drama programs for senior citizens. In 2014 and 2015 Sandra received commissions to create original productions for Art on the Atlanta Beltline in conjunction with two large art installations. Both featured the original work of a total of 40 local writers. Sandra’s most recent original performance work, “We Have Risen”, commissioned by the Consulate General of Ireland and performed at the Ferst Center and the Atlanta Masonic Auditorium during March 2016, illuminated Ireland’s journey to freedom and included an historic African-American dimension. WHR featured memoirs written by local writers including Sandra’s students from the Helene S. Mills Senior Multipurpose Facility as well as original spoken word performances by students from the Dekalb (High) School of the Arts. 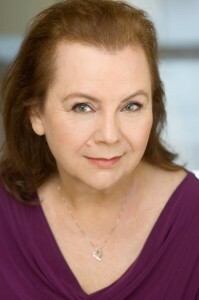 Sandra is also the Producing Artistic Director of Gateway Performance Productions. Gateway’s 16-year-old venue, The Mask Center, and the newly established The Writers Space are located in the Little 5 Points Center for Arts and Community (formerly the Little 5 Points Community Center). American Film Institute Video Festival (Los Angeles) Bring Me Yellow Flowers, Choreographer – Nominated for the Robert Bennett Award. Public Television, Mime Dreaming, Writer – Regional Emmy, “Outstanding Entertainment Program of the Year”, National distribution, U.S.A.
South Arts (Regional Arts Council) – Southern Artistry Award, “Outstanding Theatre and Literary Artist”. City of Atlanta – “Outstanding Partner Award”, Theatre Workshops for Youth, Centers of Hope. Young Audiences (New York City) – “Classic Initiative Award”, To create a new production for youth audiences. Ford Foundation – “Professional Development Awards” (3), though Alternate ROOTS. The Ohio State University, Irish Collection, Playwright – “Designated Works of Significant Cultural Merit”. Jerome Lawrence and Robert E. Lee Theatre Research Institute, The Ohio State University (not Sandra’s alma mater) – The Sandra L. Hughes Theatre Collection, documents Sandra’s professional career as a theatre artist. Hambidge Center for the Creative Arts and Sciences (GA), Fellow.